I may eat my words someday, but I cannot fathom splurging on “anti-aging injectables.” First, there are the questionable, and somewhat unknown, long term effects. Second, even celebs like Lisa Rinna are now realizing you can quickly go too far and walk around looking like some sort of expressionless she-duck. Third, it should be criminal to spend any amount of money to look like an expressionless she-duck, even a young one. That’s why I’m checking out kinder, gentler, and less expensive options. Because while I’m no she-duck, my face has its share of crow’s feet, and neither bird is welcome here. Elizabeth Colburn is a Michigan-based beauty pro, and her skin care products are local favorites. Her formulas are sensible, and sensational, in a quiet sort of way. No overnight quick fixes, just increasingly glowing skin, and all of your expressions left intact. Daily Grommet founder Jules Pieri (who has gorgeous skin) turned us on to the Enzyme Face Peel, which is great for all skin types and only takes five minutes or less to make your skin a bit smoother and clearer. Buy it and you get a sample of the Orange Cleansing Souffle and Stress Recovery Cream (and who couldn’t use that). 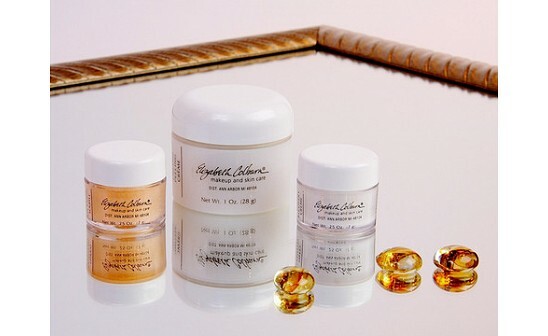 Have you used Elizabeth Colburn products? Would you like to start? I am actually touching my face right now, a few weeks into using this peel, and I'm loving the results. Smoother than usual. Less bumpy, more even. Thanks for the recommendation, Jules! And Emily, I'm so pleased that you can FEEL the results of this product. It's so refreshingly simple to use. Greetings to today's Daily Grommet visitors. I am available to answer your questions. I'm glad that you mentioned that it's about a six month supply. It's hard to tell how long something will last by looking at a tiny bottle! That's a great product at a great price. Elizabeth ...I would love to know the best solution for dark circles under the eyes! Help! I haven't used the face peel, but I love and use many of Elizabeth's other products. I now live in California, but every time my travels take me to Ann Arbor, I make sure I see Elizabeth to replenish my supply of her cosmetics. I'm right there with Katherine searching for a dark cicles under eyes solution. How often do you recommend someone uses this creme? Thanks Elizabeth! One thing I've wondered about is why you call it "peeling creme?" I think that name might have worried me, since I have somewhat sensitive skin, if I hadn't tried it first. And...you probably don't remember this but when you did my makeup you told me you worked on Eight Mile. My thought immediately went to that road in Detroit, and I said, "Oh so did I! I was a hostess at Big Boy in college!" I've always been grateful that you were so gracious, and let me slowly, slowly realize that you meant you did Eminem's make up on Eight Mile. I have used several items from her line and I love the way my skin feels now. Safe, easy to use, good for sensitive skin, what more could you want? I recommend using the enzyme peeling creme once or twice a week. Once a week is definitely enough to improve and maintain the effect. It's also a great skin "prep" for a special event. Now for the bane of a woman's existence - dark circles under the eyes. I have yet to find a skin care product that "lightens" the coloration. I am not familiar with all eye cremes on the market. There are several factors to consider as far as the under eye area. (I could write a short book just on this probably). The skin is delicate under the eye and can be sensitive. When you work with an under eye concealer (or highlighter as I prefer to call them), hydrate the skin lightly with a moisturizer. Use a concealer that is just one value lighter than your skin tone. Applying with a brush works well. Blend with a makeup sponge. Most highlight cremes are too light - so one ends up drawing attention to the area - rather than downplaying it - you know, "the racoon eye effect". Concealers or correcting colors work most effectively with a foundation, too. But if you keep the color closer to your skin tone, you can use an under eye cover effectively. Jules - Yes, peeling can now conjure up harsh chemical or laser peels. The creme acquired the moniker before the media blitz of these anti-aging procedures. I think the key words are Gentle and Enzyme. Gentle Enzyme Exfoliating Creme is probably more accurate. These days the term "exfoliating" is more common in the language. I think I even heard it inserted in a Simpsons' cartoon! 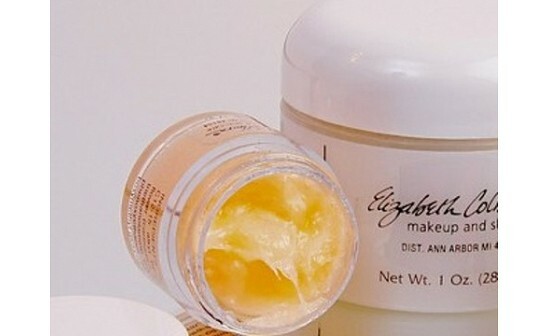 I have been using Elizabeth's products for MANY years and refuse to try anything else. I'm so happy with the products - why fool around with success? I currently order them long distance to Minnesota. I'm thinking that it would not be for the above the eyelid area? If not, do you have a product that will work to firm up the skin in that area? Alas, I am getting a touch of that droopy fold up there! Sold out! I'll have to come back later! Anne - We just arranged to get more stock. We've adjusted the Daily Grommet inventory so that we can now take more orders. Thanks to Elizabeth Colburn for arranging this. I, too, have been using Elizabeth's products for years, and have been ordering by mail for years (each package is put together so carefully). My husband and daughter also use her products. Everything has that same gentle feel and lovely but subtle fragrance. I have a home office and communicate with clients mainly by phone or email, so I don't "dress up" every day. But when I apply my Elizabeth Colburn products, I feel like I'm dressing up, and I know I'm taking good care of my skin. Hi, Ann - You are correct - it is best to avoid the eye area when applying the Gentle Enzyme Peeling Creme. If you do choose to purchase this special Daily Grommet package, you will receive a sample jar of Stress Recovery Creme. While this is formulated for the entire face, you can also apply it gently to the eye area. It is not a "firming" product per se, but increased hydration of the skin can give a "lift" to the eye area. I constantly receive comments:: " YOU DON'T LOOK 88''''!!!!! My answer :: I have used ELIZABETH COLBURN products since she opened her business in Ann Arbor,Michigan. I love the comments: " YOU LOOK GREAT"""!! !I I love Elizabeth Colburn products!!!!!!!! I love MARGE'S attitude. It's all about looking and feeling your best at any age. Anti-aging is a misnomer; we can't prevent aging and its signs. But if we can manage aging and appear younger in the process - well, all the better!! Elizabeth's vitamin E stick, orange whip, and buff up face scrub are all outstanding products and great values. Hmmm James. Sounds like you have some good future Grommet ideas. Thanks for suggesting them! @Marge Wow what a testimonial. I would like to meet you. I watched the movie "Young at Heart" last night where the average chorus member was in their early '80's so I feel like I spent the last day or so in a retirement village. Those characters really stuck with me. But I think some Elizabeth Colburn products might have been a good thing for a few folks. James is a sharp fellow - a lawyer in private practice in the Chicago area - he helped me trademark my logo signature - which is my actual signature from my own hand. I may eat my words someday, but I cannot fathom splurging on “anti-aging injectables.” First, there are the questionable, and somewhat unknown, long term effects. Second, even celebs like Lisa Rinna are now realizing you can quickly go too far and walk around looking like some sort of expressionless she-duck. Third, it should be criminal to spend any amount of money to look like an expressionless she-duck, even a young one. That’s why I’m checking out kinder, gentler, and less expensive options. Because while I’m no she-duck, my face has its share of crow’s feet, and neither bird is welcome here. Elizabeth Colburn is a Michigan-based beauty pro, and her skin care products are local favorites. Her formulas are sensible, and sensational, in a quiet sort of way. No overnight quick fixes, just increasingly glowing skin, and all of your expressions left intact. Daily Grommet founder Jules Pieri (who has gorgeous skin) turned us on to the Enzyme Face Peel, which is great for all skin types and only takes five minutes or less to make your skin a bit smoother and clearer. Buy it and you get a sample of the Orange Cleansing Souffle and Stress Recovery Cream (and who couldn’t use that).